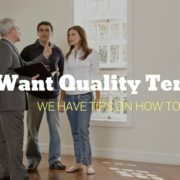 When you want to find the best tenants for your Fort Worth rental property, you need to catch their attention with some great marketing and a positive showing experience. But, before you can advertise your home or let prospective tenants see it, you have to make sure it’s rent-ready. Getting it ready for the rental market means making it clean, functional, and attractive. Consider some of these tips to ensure your property stands out from the competition when potential tenants are looking for a great place to live. Take a look at your property from the street. Does it look like a place you’d want to call home? 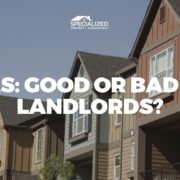 First impressions are important, and many tenants will not bother going into a home if it looks unkempt and dilapidated from the outside. Create some great curb appeal with a little bit of landscaping. You don’t have to spend a lot of money, but you should at least trim the bushes, cut the lawn, and make sure there isn’t any trash or debris outside the house. Plant some pretty flowers or put a pot of colorful blooms right outside the door to brighten up the entry. Consider power-washing the property if it’s stained or dirty. Clear away any cobwebs outside of the doors and windows. If you have blinds that are bent or missing, replace them so the windows don’t look sloppy from the outside. For units in apartment buildings or multi-family residences, make sure the outside common areas are cleaned up and tidy. Pay attention to the condition of the paint and make sure there’s adequate exterior lighting. Sand and seal any decks, patios, or balconies. 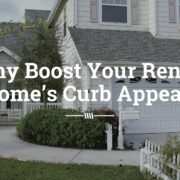 Your property isn’t ready for the rental market until it looks inviting from the outside. If you’ve been living in the property yourself, you need to clear out all of your personal belongings. Don’t store things in closets or leave tools in the garage. Leaving behind a lawn mower might seem like a good thing for your tenant, but it’s actually putting you at risk and creating liability. 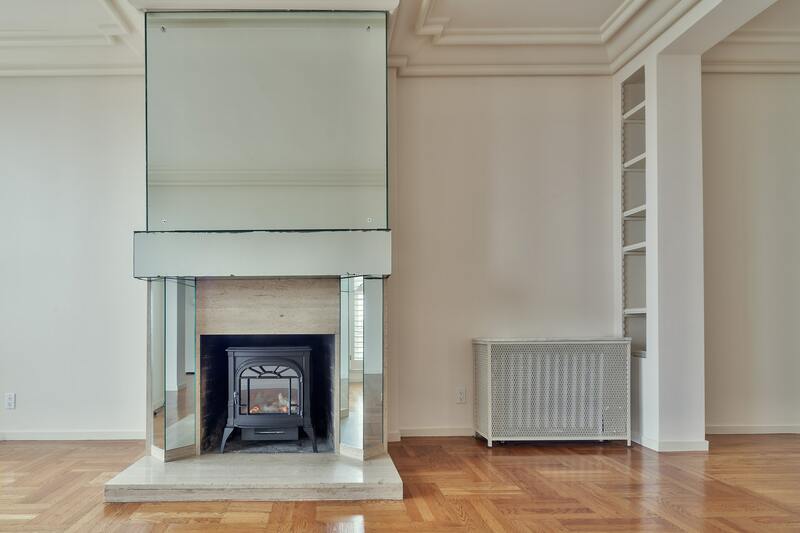 The house should be completely empty so that prospective tenants can get an idea of how their furniture and possessions will look in the home. They won’t want to see a lot of clutter and things that belonged to other people. 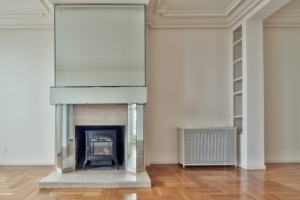 Remove anything that former tenants left behind before putting your property on the market. You’ll want to present a home that’s sparkling clean when you show it. Hire professional cleaners to go through and scrub every surface. When potential renters come to see the home, they are going to take a close look at the condition of the appliances, the sinks, the tubs, and the toilets. They won’t want to see dust on ceiling fans or hair in drains. Have your cleaners wipe down the top of the refrigerator, polish the hardware on cabinets, and clean the inside of the oven. Have your carpets cleaned. Everything has to look clean, fresh, and new. Good tenants will not want to live in someone else’s dirt. The property must be habitable and functional before you make it available to rent. Inspect every room in the house before you advertise it, and make sure that everything works. Turn on every light switch, check every outlet, and flush every toilet. Look for leaks under sinks, test the water pressure in the showers, and run all of the appliances. The locks should work on doors, and windows should open and close without a problem. Clean out the gutters, and check for holes or leaks in the roof. Floors should be in good condition and paint shouldn’t be chipped or scratched. Pay attention to the Texas Property Code. This includes re-keying the home, ensuring there are keyless deadbolts on the exterior doors, and installing peepholes on those doors if they aren’t already there. Consider making some cost-effective upgrades and updates to your home. You don’t have to renovate the entire kitchen, but new counters are a great way to make the kitchen shine if yours are looking old and faded. Instead of cleaning the carpet again, think about putting in some vinyl, tile, or hardwood flooring. There are some affordable options in hardware and home stores, and you’ll really appeal to tenants. Not only do hard floors look better, they’re easier to maintain and keep clean. Even new faucets or light fixtures can really make a house look brand new. Cosmetic touches are a plus, but mechanical and structural issues are non-negotiable. If you show the property and promise to fix the things that are broken, you will not hold the interest of high quality tenants. The best renters want a move-in ready property. So, make sure everything is in good working order before you put the property on the market. It has to be ready for your tenants. Once the home looks good and is ready to be listed, you have to price it properly. Overpricing a rental property is a critical mistake that a lot of landlords make. While underpricing a home is never a good idea, overpricing it could actually cost you more. When you ask too much for a rental home, you risk leaving it unrented for longer. A vacancy period that lasts for weeks and even months is expensive. It means you’re not earning any rent at all. Holding out for more money is a big risk, and you will never recover the money you lose during a prolonged vacancy. When you’re pricing your home, seek help from a professional Fort Worth property manager. Talk to someone who understands the market and can help you compare the property you’re offering to the competing properties in your area. This can be an invaluable service .It will save you time, save you money, and ensure you get your home rented quickly to a qualified tenant. If you’re going to price your property on your own, take a look at what other homes are renting for. Make sure you consider their size, condition, and exact location. These things can impact a price. Try to get information on what the homes actually rented for, not just what they were listed for. You might see properties like yours listed for $1,400, but don’t be too quick to attach that price to your own home. Maybe the owners had to reduce the rent to get a good tenant in place. It’s important that you’re flexible when it comes to pricing your home. Pay attention to the market and the demand, and get an idea of what tenants will be willing to pay. If you aren’t getting any interest at all once your home is listed, you might want to consider dropping the price. There are a few other things you need to take care of before you put your property on the rental market. First, make sure your insurance is in order. If you’re renting your home out for the first time, you need to convert your homeowner’s insurance policy to a landlord policy. The coverage is a little different, and you want to be certain you have enough liability protection in place, as well as insurance against loss of use. If you don’t change your insurance policy over and there’s a claim against you, it’s possible you won’t be covered. Talk to your insurance agent or let your insurance company know that the property is a rental home. Keep the utilities turned on until your tenant is ready to move in and has turned on the utility accounts in their own name. When you show the property, you want to be sure the tenants can turn on lights and run the faucets. Put the correct service contracts in place before you put your property on the rental market. If you’re going to have professional landscaping, hire that landscaping company before you start looking for a tenant. Then, you can include the price of the landscaping in your rent and the tenants won’t have to worry about it. If you have a pool, get a contract in place with a pool cleaner. This will ensure the pool is maintained and cleaned on a regular basis. 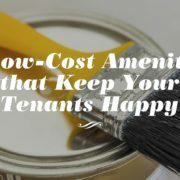 If you leave it up to your tenants, they might not keep it in the condition you desire. Be prepared with all of your documentation. 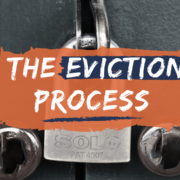 You’ll need a set of written criteria to provide your prospective tenants so they know what you’ll be looking for during the screening process. You’ll need a pet policy so you can answer questions from tenants who have animals, and you’ll need an application that tenants can fill out immediately after seeing the home. You’ll also want to be prepared with the lease and any of its addenda. These are not things you’ll want to be scrambling to find once a tenant is interested in your property. Have them ready. Preparing your property for the rental market is an important first step in proper marketing and tenant placement. If you’re offering a clean, functional home that’s priced competitively, you’ll have an easy time finding a highly qualified tenant. If you need any help preparing to list your property, please don’t hesitate to contact us at Specialized Property Management Fort Worth.